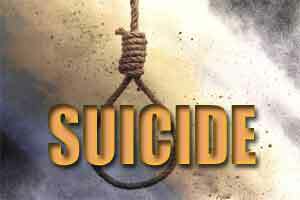 Sagar: A 26-year-old patient allegedly committed suicide morning in the hospital affiliated to Bundelkhand Medical College in Sagar district of Madhya Pradesh. The deceased identified as Anil Patel, a resident of Lehadara Naka area of city, was undergoing treatment for liver related disease. “The deceased hanged himself using a towel tied to the bathroom grills,” informed Kripal Singh, Gopalganj Police Station in-charge. The police said he was admitted in the surgery ward of the hospital on December 14. “The family members are saying that he was addicted to alcohol. He might have taken this step under the state of depression,” Singh added. Police have registered a case and started further investigations.